Dearmost “Mellisai Mannan” (King of Light Music) M S Viswanathan left us on 13th July 2015. Undoubtedly, A black day for South Indian film music. His services to music were unparalleled. He ruled musical waves for decades together like no one else did. His works with legendary and lovely golden vocals of TMS, PBS, Ghantasala, Seerghazhi, BMK, SPB, VJ, LRE, KJY, Jayachandran and (especially with)PS were all awesome!! 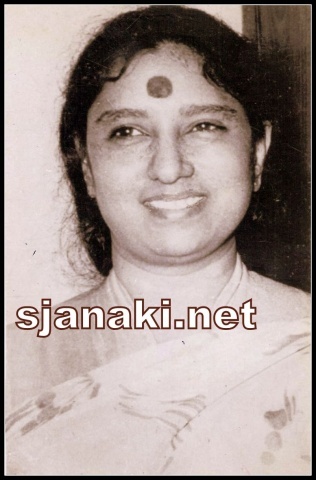 Since, this is a website exclusively dedicated for SJ, we pay our tributes with his musical creations in enchanting vocals of Janaki amma!! SJ was not part of many musicals from MSV but whenever they worked together, they ensured to extract very best from each other’s abundant talent. SJ sounds extremely innocent and sincere in his compositions. There were many greats from them out of which around 180 are shared in our site till date. It is extremely difficult to pick the very best in their combination.Presenting 10 songs today from their works as a tribute to the legendary MSV sir!! Let us start the journey with a memorable PBS_SJ duet. MSV-TKR-PBS-SJ gave many melodious duets like “Enthan paruvathin kelviki Badilenna sollidum”/”Poojaikku vantha malre vaa”/”Azhagukku Mayailukku”/”Ponenben siru poovenben”/”Paadatha patellam” etc.. There is a reason for choosing “Intha Mandrathil Oodivarum” as the best among all these. MSV sir, himself loved it so much and mentioned that it is one those compositions of his which are close to his heart.. As he mentions in the audio clip below, this is not a regular duet between two lovers, but it is a love song of a girl accompanied by her brother’s love and hope to fulfill his sister’s dreams! Listen to his kind words on Janaki amma’s ageless voice! Listen to the evergreen song..
Sumaithangi was yet another movie from Sirdhar-MSV-TKR with PBS-SJ all the way singing immortal compositions of “Mellisai Mannargal”. Every song in this album is gem of a composition and a memory to cherish. Kannadasan sir gave such a thought provoking lyrics to compositions that he himself became fan of those songs. Once he went to Janaki amma’s house and borrowed LP (Gramophone record) of “En annai saida paavam” from her to present it among his favorites for a Radio show. He never returned the same!! Such was his love towards that song. What to say, everything was(is) divine in this song right from that immortal tune/singing to beauty and skillful acting of Devika mam!! Listen to the classic here.. This song may be lesser known among all other songs being presented in this page today. But, This song is chosen to show the greatness of MSV sir in composing Raga based songs. “Ganga Gowri” was a musical where MSV made SJ sing a solo (song in current discussion) and duets with TMS, PBS and LRE. “Azhagiya Megangal” was based on “Amrithavarshini” Raga and considered to be one of the best presentations of the same! Janaki amma narrates one incident in some of her interviews. Once there were no rains in Chennai for a long time and she was travelling in her car between recordings. She prayed to God for rain and was humming this song with all dedication. It suddenly rained. She says “This may sound sarcastic/sentimental, but for me it is magic of his immortal composition”. Such is her admiration towards his music!! Oh, What a classic this song is!! What a boost this song gave to SJ’s career!! What is not magical in this song ..? MSV’s tune/Kannadasan’s Poetry/Bharathi’s Beauty/SJ’s singing. Everything is absolutely magical!! That girl is madly in love with her hero. She had nothing else but pure most emotions filled for him in her heart. How else can she explain that to him. What an emotional performance by the team!! Yet another from Sridhar-MSV-SJ!! “Once a classic, a classic forver” – “Kannile enna undu” is a classic example for this. In a recent music competition in Star Vijay Tv, Mano sir mentioned that Pacham da aka RD Burman sahab was very fond of this song and would mention this many times in person. Not only he, every music lover fell in love with this one, irrespective of language. This song was equally (if not more) popular in in Telugu “kallalo unnadedo kannulake telusu”. Was it not enchanting in Malayalam too ..? Why not! When Legends work for a song with such a dedication, it out to be one!! If Janaki amma considered “Azhagiya Megangal” as a miraculous composition, MSV sir also believed in musical miracles but in another MSV_SJ offering. May be, this is very best from them as well. He mentioned in his interview to Jaya Tv once that right after recording of “Katrukkenna veli”, there was a heavy wind outside the studio, which he says is “magic of music”. Kannadasan sir gave life to Balachander’s heroine! This is how his heroines live in his movies .. Bold yet traditional, Never conventional, Strong yet kind hearted, Brave but extremely feminine!! Janaki amma sang this song with all her heart and soul! There is yet another classic from this movie, which is more emotional and accompanied by a wonderful flute work. It is “Ippadi oru thalattu paadava”. Since, we decided to go with only 10, it missed a place in our musical journey today ! Katrukkenna veli was a success in Telugu(Galikadupu ledu) as well. 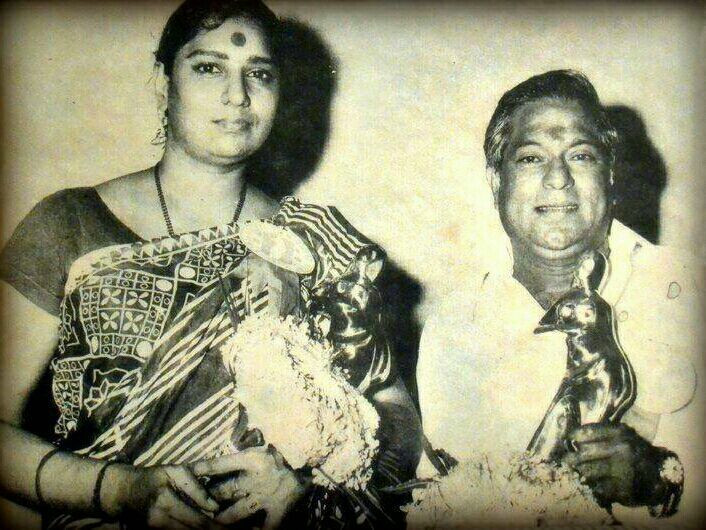 MSV sir gave beautiful melodies to Janaki amma in Kannada/Telugu & Malayalam. He made her sing Hindi in “Tu hain Raaja” as well. They worked together in many major projects in Malayalam. Especially, our song today “Aa Nimishathinthe” was such a superb work from both that both won Kerala state awards for best performance in their respective departments. SPB sir/Jayachandran sir mentioned many times about how intricate the compositions of MSV sir were and how he would change the tune constantly even before a singer grasps the same. This song is a perfect example for that. Songs of this nature are not meant to be discussed, but only to be “experienced”!! Listen to this Malayalam classic from Chandrakaantham! If there is one song to define their genius, it should be this one!! If MSV sir got Kannadasan sir to give flying colors to imaginations of Balachander sir, he always had Athreya garu in Telugu to do perfect justice to “unique characters” created by Balachander. “Aah”, what a lyrics by Athreya garu. He wins every heart with song. There is something for every one in this song to correlate. This song is not a typical melody, it should be carried by a self respect/vision/thought/elegant grace/hint of arrogance. This is exactly what SJ did to that creation of MSV!! Marocharitra, Was a Blockbuster Love story or an evergreen muscial..? It was both!! It was a musical offering by MSV sir to every Telugu music lover. It had PS, SJ, LRE, VJ, Ramola (as voice of Saritha) every one singing one of their career best melodies! Every singer showed how great and unique they were and why they were (and are) Legends for ever. Of course, there was SPB as voice of Kamal. If SJ and MSV made this song a classic, Athreya made it Immortal with his lyrics. Through out the song, he expresses the feeling of a young girl in love, who knows nothing but love, who sees nothing but love,who speaks/sings nothing but love.. what makes him unique is his signature line “Ninnu Nannu kanna vallaku Koti dandaalu”, which is exactly what this movie was all about!! In this movie, Hero-heroine love each other but they respect their parents more!! Try not to exclaim “Those were the days! !” after listening to such gems. This song had a Malayalam sibling (from MSV_SJ again) which was equally good! Solos like “Ooru sanam” (with MSV sir’s awesome tune and Raja sir’s classic BGM), award winning “Rathayai pen paarka kannan vandhaan”, melodious “Angatha Nattil”, fun filled “Enda Raja enna venum”, classically rendered “Thirumaal Azhagan”, innocent “ponnunjal Katti vaithu”, haunting “Venmegame”, Malayali “Kalam kalam malr melam”, emotional “Ninaithaal podum”, soulful “Thookum un kangal”, questioning “Oomai Pennai pesa chonna uravo”, motherly “Muthu mani kannanukku”, popular Malayalm song “Veena Poove” and many more can never be forgotten!! Not only solos, but MSV enriched musical kitty of SJ with many duets also. Kathalin Ponveethiyil(With TMS), Kannile Neer etherkku (With Seergazhi), Antharanam Naan ariven(With PBS), Malare Kurinji Malare(with KJY), Pournami Nilavin(Very first duet of SPB-SJ in Tamil), Thendrathu unnidathil(With Jayachandran), Pokkiriki Pokiri Raja(With Malaysia Vasudevan), Un kathaithaan(With PS), Manjalum Thanthaal (With Jikki),Inda pennodu(With VJ) are just a few memories from the duets SJ rendered for MSV’s tunes. He himself shared mike with SJ for evergreen melodies like “Solathan Ninaikkiren”/”Sindu nadi Poove”. But, if we need to pick a duet which was very unique, it should be “Chippi irukkuthu” from “Varumaiyin Niram Sivappu”. It was Sridevi (in voice of SJ) singing tune and Kamal(in voice of SPB) adding words to it. What a blessing it is to listen to such experimental songs. This team(MSV_SPB_SJ) even created a complete song with just one word “Ninaithaale inikkum” and proved that nothing is impossible if there is stuff in it. Yes, That song was a huge success!! Sharing Telugu version “Kanne pillavani” which became a signature tune of MSV. Even current generation gets connected to this song and they start humming along with SPB-SJ as soon as the song starts. Once, there was a felicitation to MSV in Andhra during 2005-2006. SPB and SJ were around in Hyderabad and were invited to that function. There was IR/MSV and many more in that function. When SPB-SJ were asked to sing, they chose this song from their rich kitty and presented with such love and respect as an offering filled with dedication to this musical genius!! Listen to Kanne pillavani from “Aakali Rajyam” here. There are many memories left to be discussed, many songs left to be played. Anything in world is not enough to describe everything about this genius!!. Sir, thanks for such great songs. As Shailendra mentions in a song from Anarkali “Gareebon ka ek aasra ye Dua hain, Due ke Siwa mere paas aur kya hain! !” (What all a poor man can offer is a prayer, what else do we have to offer than our prayers!”). You Live forever and ever with us through your music… May your soul Rest In Peace!